Illustration of Cantiga 11 from the Cantigas de Santa Maria by Alphonsus X.
music class without any information about the rest of it. squinting into their program books. Zajac was playing a cylindrical bore traverse flute. citole, hammered dulcimer, flute, recorder, bagpipe, and percussion. Rosas, used this sound particularly well. the depiction of the bird song. the joy the disciples felt at the Resurection. 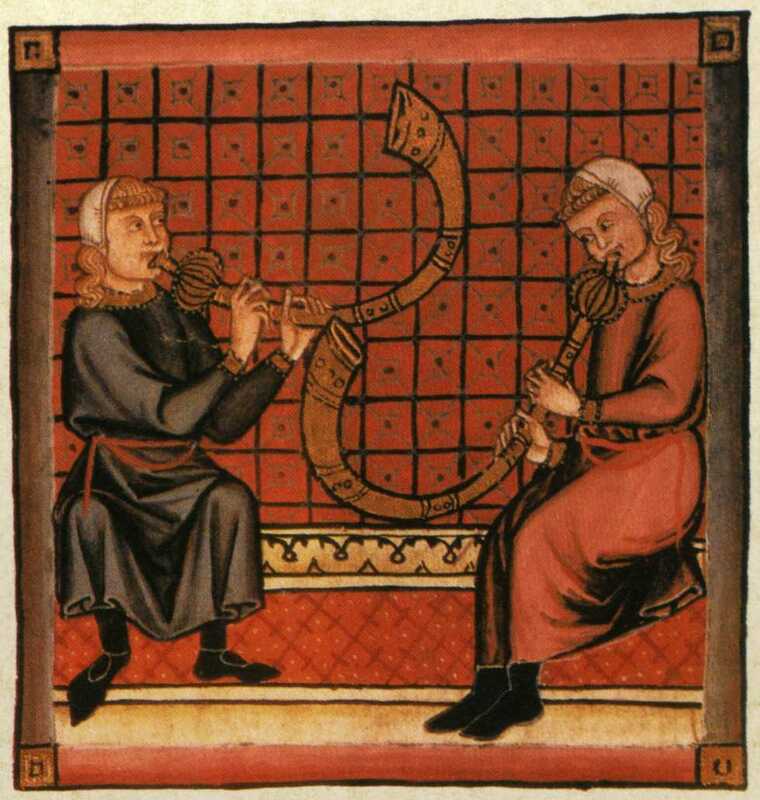 than other medieval concerts I have heard.